Please contact Martha Bracken email for a quotation including relevant postage for any item listed here which you wish to purchase. means to embody the peace one desires in the world in one’s own life. 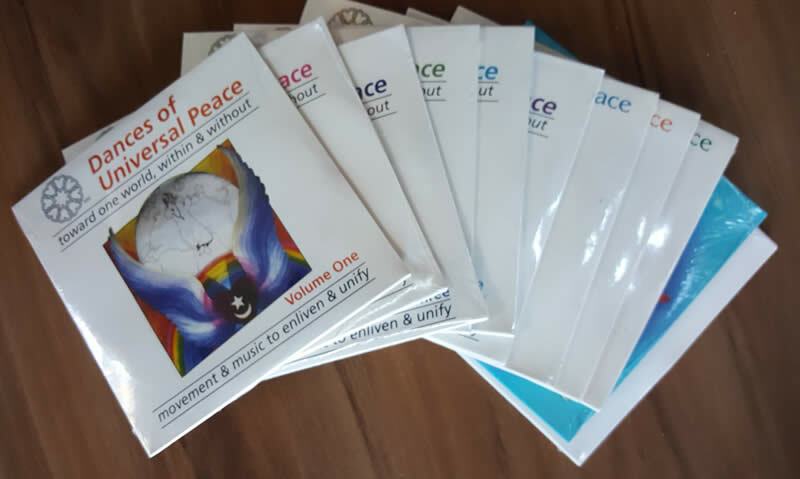 101 dance chants to accompany the original Foundation Manual, which is now available online for current Leaders Guild members. 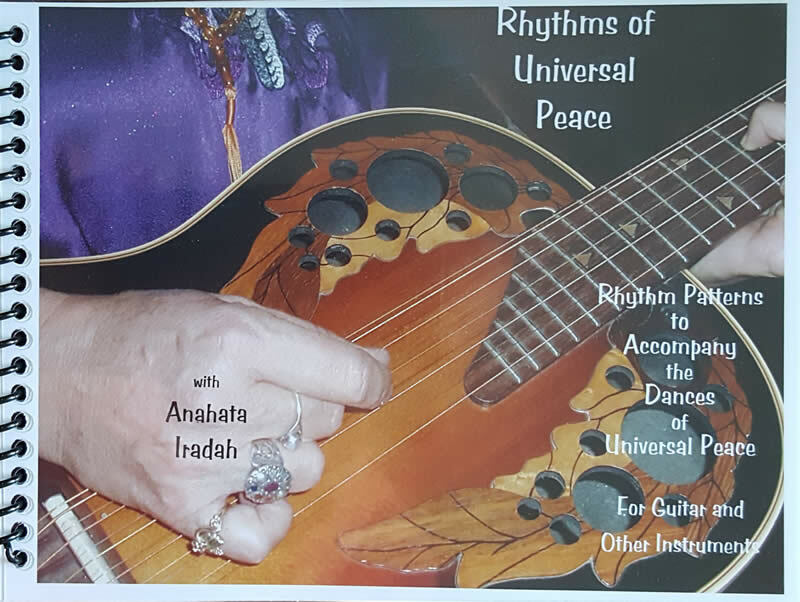 Using 13 well-known Dances of Universal Peace, Anáhatá’s clear instructions guide the student through different rhythmic patterns of guitar strumming which can be used for each Dance, or portions of each Dance. The rhythms are notated in the booklet for visual learning and the guitar playing on the CD is crystal clear and easy to follow. The rhythms can be adapted for playing with two hands for drummers. This is a great learning tool for anyone who has had little professional music instruction (or instruction which was many years ago). It will quickly and easily improve their guitar playing to respond with greater flexibility to the atmosphere of different Dances. Click here for more recent publications by Anahata.